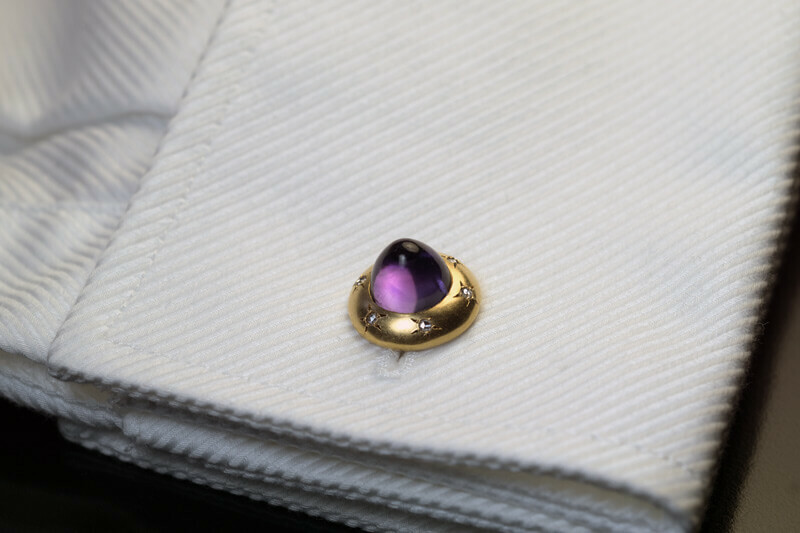 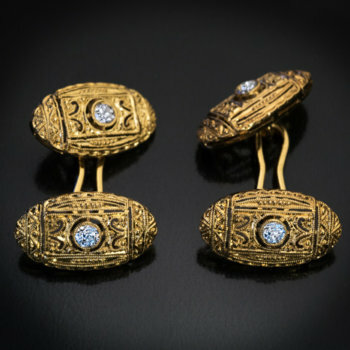 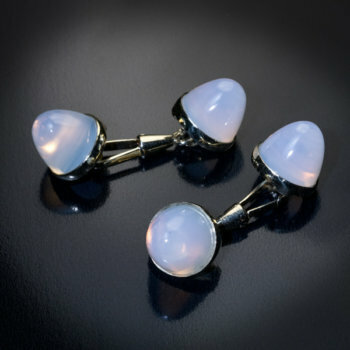 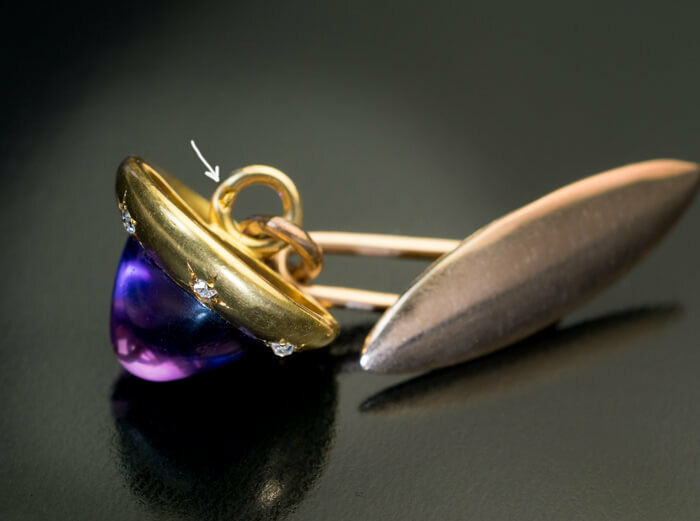 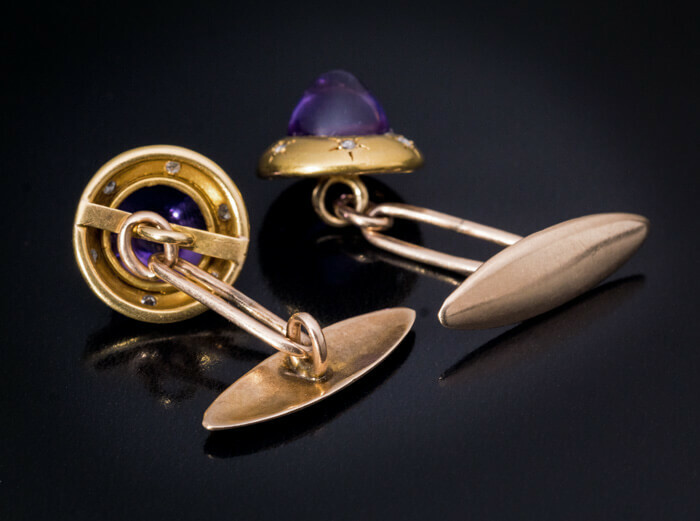 Antique 18K matte gold cufflinks are centered with cabochon cut sparkling amethysts of a lavender purple color. 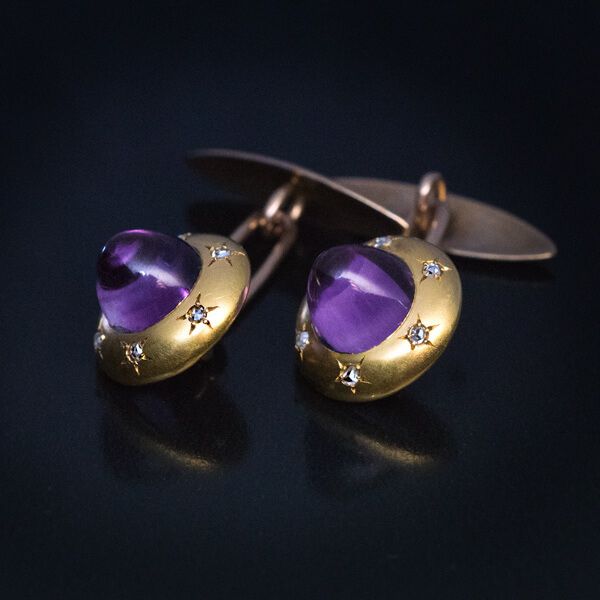 The amethysts are encircled by engraved stars set with rose cut diamonds. 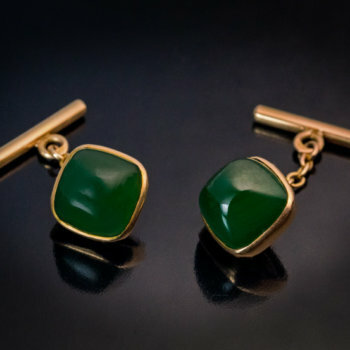 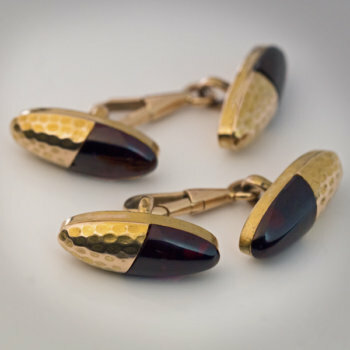 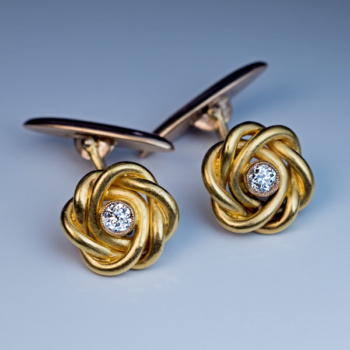 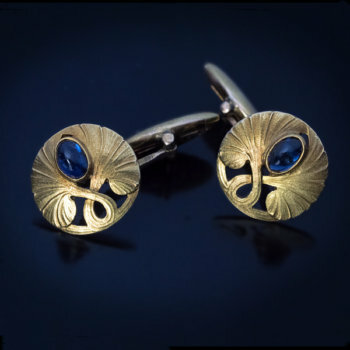 The cufflinks are marked with French eagle head assay mark for 750 gold standard (18K).